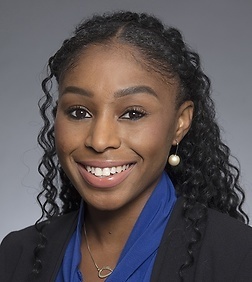 Reanne Swafford-Harris is an associate in the Labor and Employment Practice Group in the firm's San Francisco office. Ms. Swafford-Harris represents employers in all aspects of employment-related matters in state and federal courts. Her practice includes defending employers against claims of discrimination, harassment, and wage and hour disputes. Ms. Swafford-Harris regularly counsels employers on a wide range of employment issues, including employee handbooks, sexual harassment prevention, conducting workplace investigations and wage and hour compliance. Prior to joining Sheppard Mullin, Ms. Swafford-Harris practiced as an associate at a large national law firm where she focused on representing employers in the defense of wage and hour class and collective actions arising out of alleged violations of the California Labor Code and/or the Fair Labor Standards Act. Ms. Swafford-Harris continues to be committed to her pro bono practice, and has provided legal services in conjunction with a number of federal pro bono defense organizations. Ms. Swafford-Harris is a graduating fellow of the National Employment Law Council’s 2018 Academy.